Florida Hospital Medical Group is pleased to welcome Nitzmari Melendez-Vazquez MD, a highly-skilled physician treating pediatric epilepsy and founding physician of the new Center for Child Neurology. 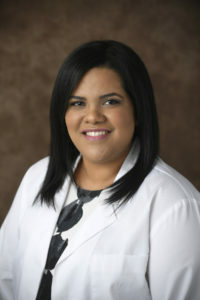 Dr. Melendez earned her medical degree from Ponce School of Medicine in Ponce, Puerto Rico from which she graduated with honors and was awarded Clinical Distinction for clinical and academic achievement. Her research includes the study of rare immune diseases and infections affecting the central nervous system. She most recently practiced at Augusta University Medical Center where she served as neurology chief resident.